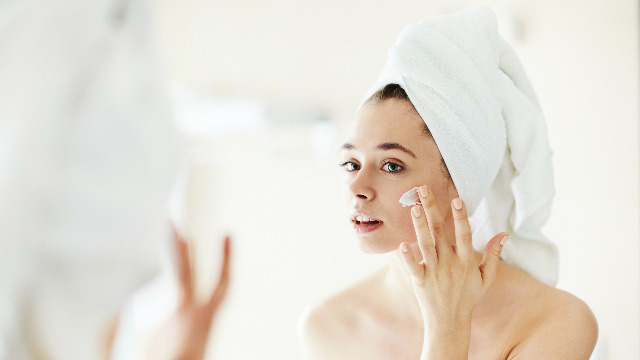 (SPOT.ph) Have you ever stopped to think that a bad habit could be causing your problematic skin? Put a stop to these five damaging practices and see the difference it will make. We sometimes think that if we keep washing our faces, we can rid our skin of oil, grime, and impurities. Thing is, you might actually be stripping your skin of its natural oils. If you cleanse more than twice a day, your skin is left feeling tight. A quick remedy would be to apply a thin layer of Vaseline petroleum jelly. Because it’s triple-purified and highly refined, you know there are no impurities touching your skin. You want to squeeze those suckers into submission! But, when you do it yourself, you can end up bringing the infection even deeper, and enlarging your pores. Popping zits can also spread bacteria to other parts of your face, making acne worse and causing scarring. Use gel or antibacterial wash to clear up those zits. You’d think your saliva can moisturize your lips, but licking or chewing on your kisser can dehydrate them even more. Peeling your cracked, dry lips will make the problem even worse. Try an exfoliating lip scrub, then slather on Vaseline petroleum jelly to lock in moisture and protect your lips from the elements. It’s important to know which products work well with your skin. If your skin is oily, water-based products work best for you. If it’s dry, oil-based beauty booty is the way to go. A good inexpensive option is Vaseline petroleum jelly, especially when your skin is dull and flaky. Leaving your makeup on when your skin is healing itself throughout the night can clog pores and lead to bacterial infection. You wouldn’t want to wake up with a zit on your face! Rule of thumb: Never go to sleep without cleansing.